Our range of products include c frame type pneumatic press machine, toggle press pneumatic type machine and pressure testing machine. 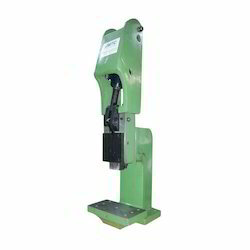 We are offering a wide range of C Frame Type Pneumatic Press Machine. JMTC’ Toggle press Pneumatic type machine is widely used for Numbering, Cutting, Stamping, Rivetting, Bending, Punching, Marking, Piercing, Embossing. They are also used for innumerable other such jobs for applications related to electrical, electronic and automobile industry in organized sectors where air supply is available. This ensure clean environment, low risk of working to make this machine suitable for Assembly shops. 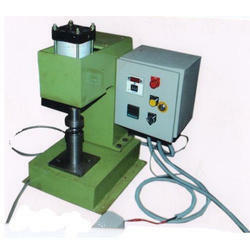 These presses are available in different shut heights to adjust various type of jobs and applications. We are the leading and prominent Manufacturer and Supplier of Pressure Testing Machine.